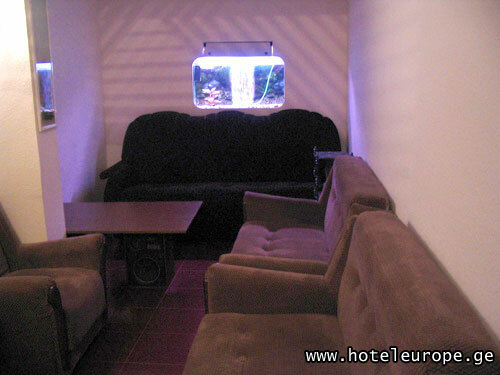 Description: Welcome to the hotel "Europe", situated in Tbilisi, capital of Georgia. The newly built building, designed in best ancient and modern architectural traditions, ensures you comfortable stay in Tbilisi. 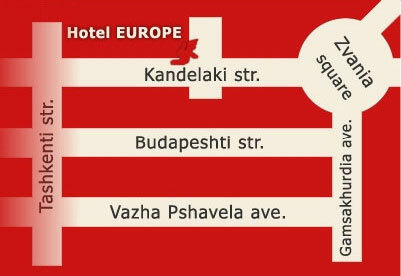 "Europe" is newly built and comfortable hotel. 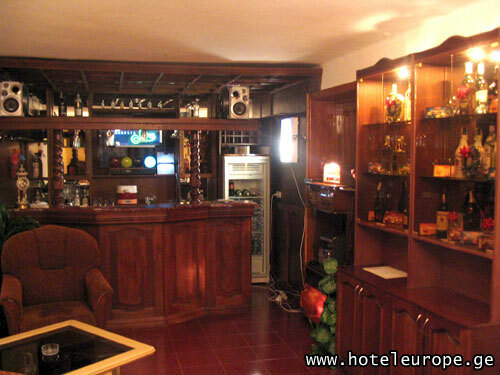 This hotel offers lux and double-rooms with panoramic view over the surrounding of Tbilisi. Each room is provided with bathroom, central heating, air-conditioner, direct electricity, mini-bar, satellite TV and international telephone communication. There is a restaurant and a bar in the hotel, where experienced cook will offer you European, as well as Georgian traditional dishes. "Europe" offer its guests information service: it provides primary information about local and foreign companies. You can use business-center services: fax, internet and Xerox machine. It is possible to organize business meeting. The hotel stuff offers its guests the tourist service, excursion, according to the rout choused by the client. It is also possible to meet in airport. "Europe" offer you also a beauty parlor, security and fireguard. You can for the personal security during your staying here.